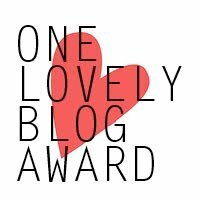 I have received the One Lovely Blog Award. Sunni of blog Surviving Life named me as one of her chosen eleven blogs that she felt fit this award. There are some rules: Post the award on your blog, thank the person who named you, share seven facts about yourself, and name eleven blogs for this award and notify them of this award. I don't drink coffee or soda. It's water and juice for me. I think it started when I began running in junior college. The coach was a stickler for a proper diet. I stopped drinking milk then, too and never returned to it. I love technology. I have two computers, my phone, ereader and iPad within easy reach at this very moment. I value friendship and have several friends from childhood I still maintain contact with. It is funny to look over at pictures on my desk and see myself at eight years old standing next to my long time friend, Anne. We live many states apart these days, but not long ago, we visited, so now I have a picture of the two of us as adults. Things change/things stay the same. Before I decided to publish my writing, I used email and snail mail as my primary electronic connection to the world. After a year, I have a blog, Goodreads, Google+, Indie Writer's Network, YouTube, Twitter, Facebook (which I never use), Linkedin, and a Smashwords author page. It's hard to get to them all and participate, and I am learning as I go. I love old furniture. My desk used to belong to a gentleman who ran a shoe repair shop. Made of oak, it has a heavy duty, built-in pull-out table for a typewriter which works nicely for my all-in-one computer. My husband does not like it because it is so heavy, and he's always the one that has to move the desk from place to place. He talks about replacing it with something better, but I love this old thing. It has some sort of black finish on the top which reminds me of slate, but it is not a hard surface, and that shoemaker left cup rings and other unusual marks on it. I am a dog lover and have two lovely, well-mannered ladies who live with my husband, daughter and me. They are best friends, but given a choice, one prefers to sit next to me with her head on my leg and the other worships my daughter. My husband is leader of the pack, and they are ever on the alert for his sneaky, playful antics. I was worried that I would not come up with seven things to mention. So my seventh thing is sometimes I worry I might not have something to say about myself. I teach, and for some reason at teacher training, they always want us to introduce ourselves and share something unique. I work so hard on this I never get to hear the other introductions. Ridiculous. I am going to keep adding to this. I am having a blogger's block. I am glad you keep passing through. You deserve the award because you keep such a nice blog and add reviews to it regularly. You gave some wonderful answers to the seven questions. I can relate to some of them very well. I have a very good friend that I've known for about 35 years and we still keep in touch, but live in different states today so don't see each other often either. I also love old furniture and have some antiques in my house. I have an old desk that's ssen its better days too, but I love the thing. I'll be visiting your blog from time to time. I am glad you stopped by again. I look forward to receiving your future comments. A faithful old desk and faithful to old friends: these things say a lot about a person. I am glad you visited. Married for 30 years: How did that happen?